Today we’d like to introduce you to Krimsey Ramsey. Krimsey, can you briefly walk us through your story – how you started and how you got to where you are today. In 2015, I left my Petroleum Engineering career to move across the country and settle in Los Angeles. 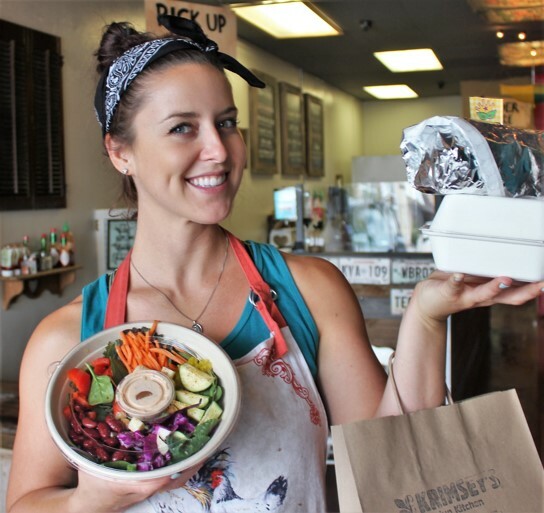 My mission was to help make plant-based foods more mainstream, flavorful, and accessible. 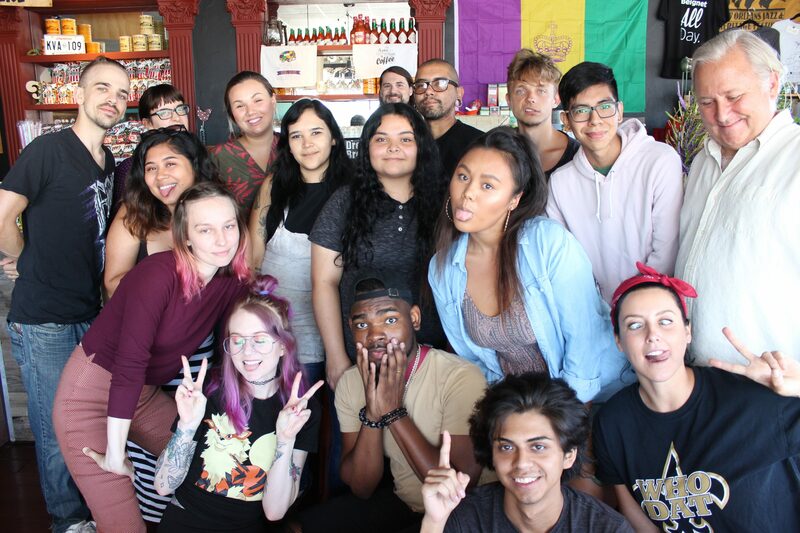 During my first year in L.A., I experimented with catering, cookbook writing, and pop-up events in hopes of one day opening my own restaurant, in 2016, I found an old deli space in the San Fernando Valley that looked perfect for a boot-strapped Cajun Vegan restaurant concept. On Mardi Gras 2017 (Feb 28, 2017), I took the plunge and opened Krimsey’s Cajun Kitchen–the World’s First Cajun Vegan restaurant! With the help of friends and family, everything was self-renovated (from floor to ceiling) and all of the furniture and decor was either reclaimed or re-purposed! It was definitely a “shoe string budget” kind of project. My sister, Jess, even hand-painted a custom Louisiana mural on the back wall. Our first restaurant space didn’t last long—within six months, we began to run out of seating during peak hours and the kitchen was practically caving in on itself due to the lack of working space. By chance, a larger corner space opened up in the same shopping center, and we jumped on it! Now, we are able to serve many more guests and we have also expanded our menu due to our larger kitchen. It most definitely has not been a smooth road! The path has been lined with many twists and turns, but I believe that the ability to “pivot” your plans is what leads to success. The struggle began when I abandoned my career—most people assumed I must have lost my mind! From there, the long & tough days of festivals and catering began. Trying new dishes, getting feedback, and adjusting recipes was a long process. It took over 50 attempts to get the jambalaya recipe just right! Finally, it was time to open a restaurant, but my budget was small. I searched nearly everyday, waiting for the right space to come along at the right price. After opening, I found myself working ~20 hour days; overworked and dealing with all the things that new restaurant owners find themselves dealing with (hiring struggles, operational issues, building/equipment repairs, etc.). However, within six months I was able to hire a general manager to help run the store, and things only improved from there! Alright – so let’s talk business. Tell us about Krimsey’s Cajun Kitchen – what should we know? 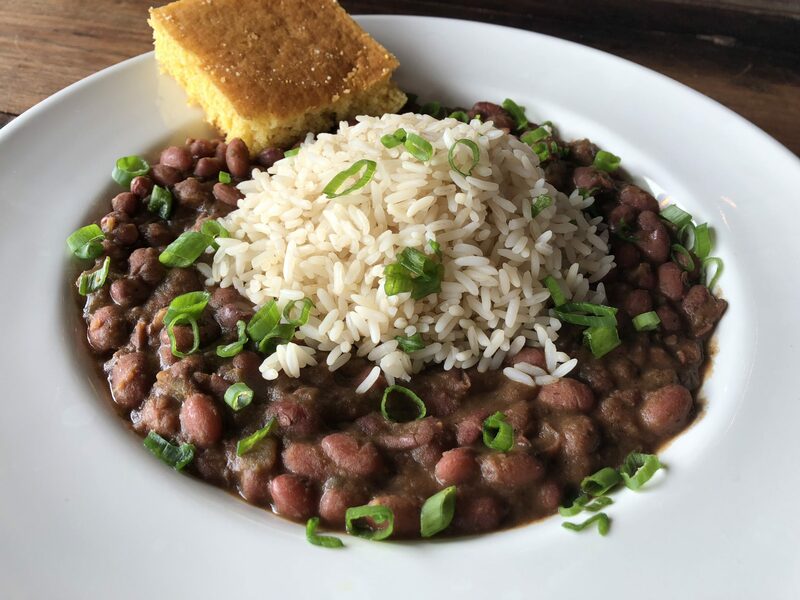 Founded by a Louisiana-native, “Krimsey’s Cajun Kitchen” is a new take on traditional Cajun food, as our version is completely cholesterol-free (and 100% vegan!). Our menu is small, because we are focused on authenticity and flavor. 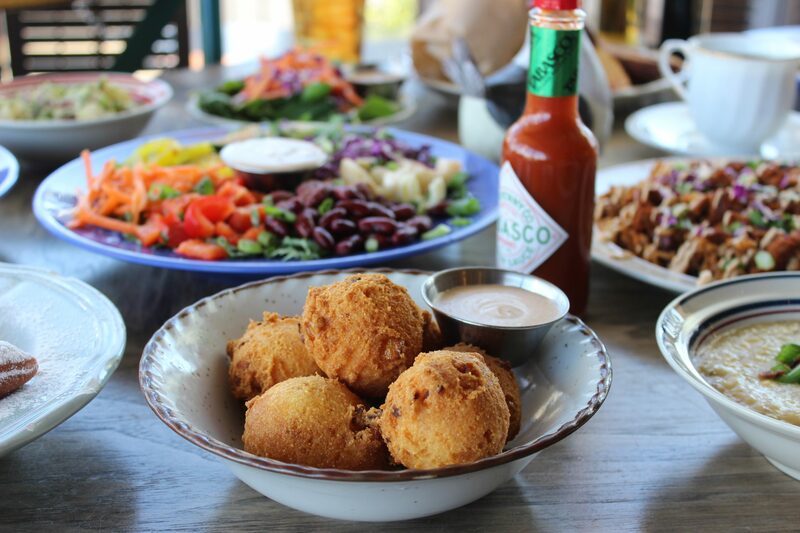 You don’t have to ask what our best dishes are, because they’re all the best. 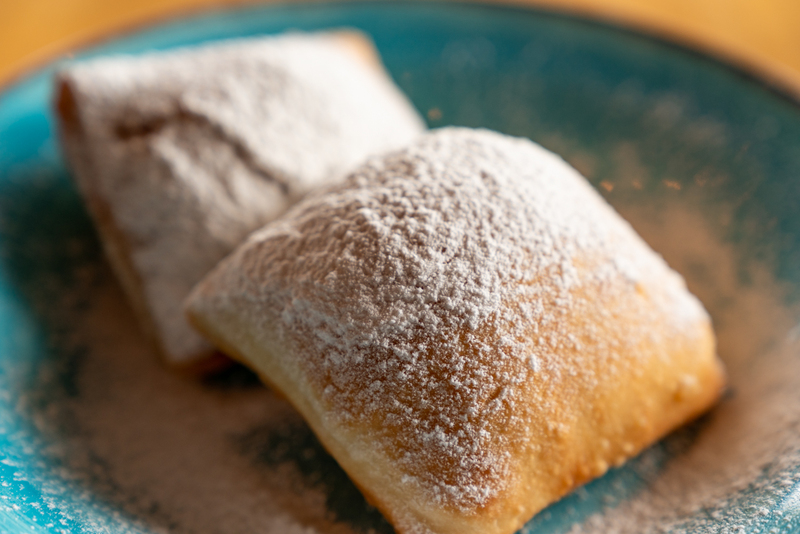 The restaurant’s most popular items are Cajun Jambalaya, Okra Gumbo, New Orleans Poboys, Fried Green Tomatoes, Hushpuppies, and French Quarter Beignets. Since the kitchen is 100% soy-free and mostly nut-free, we are able to cater to guests with all kinds of allergies and food preferences. Many gluten-free options are available, including our Corn & Baked Potato Chowder, Southern Greens, and Dill Potato Salad! 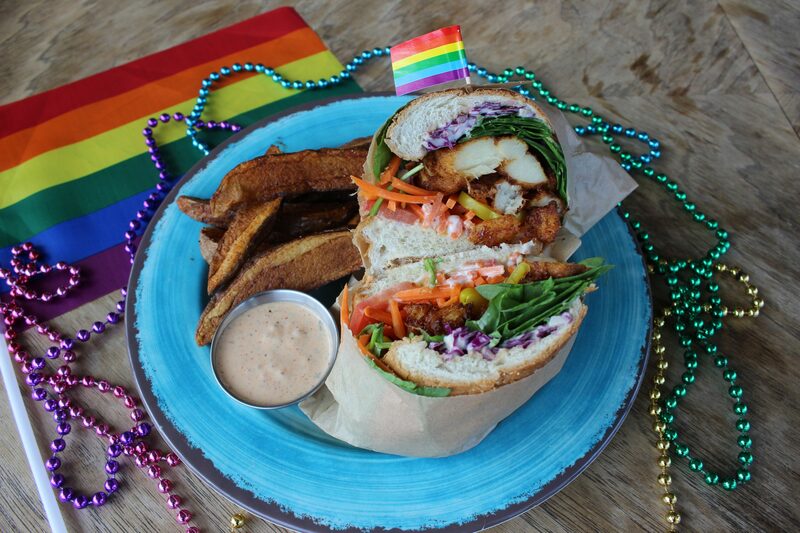 Our New Orleans Poboys are a top seller and are made with battered and fried hearts of palm served on lightly toasted French Sourdough bread, then topped with crispy shredded lettuce, vegan mayonnaise, crunchy dill pickles, and their house-made creamy Tabasco sauce. Guests usually prefer Cajun Wedges with their Poboys, but they often see guests opting for Dill Potato Salad and Kettle Chips! 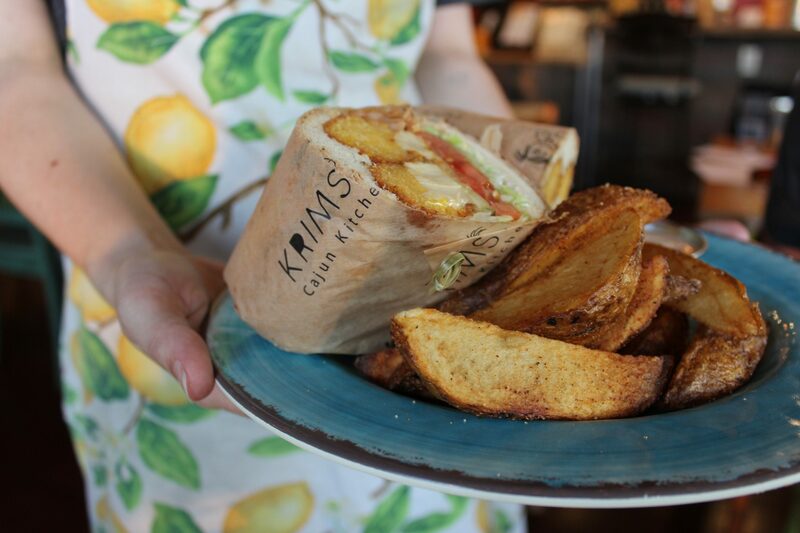 The first bite of Krimsey’s Poboy is unlike any other. 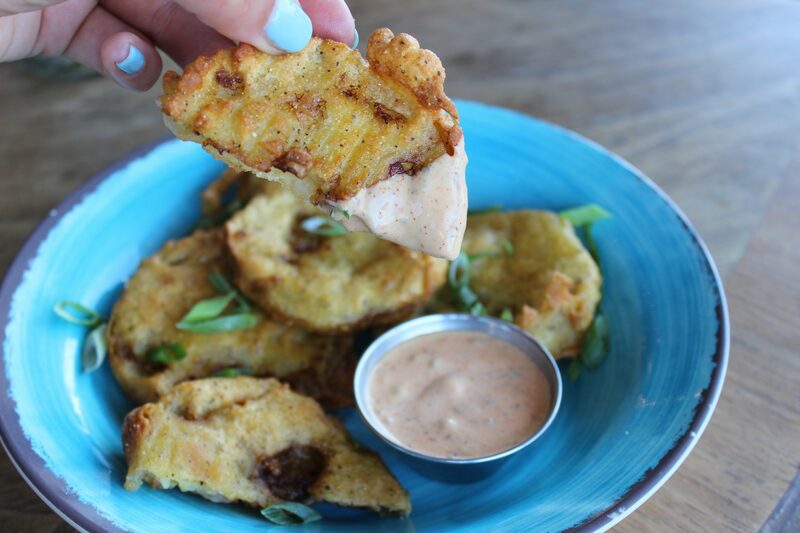 The tangy palm combined with the savory batter and crunchy veggies is enough to send anyone over the edge, but our house-made sauce is what really takes it to the next level. Guests often frequent the restaurant feigning for Poboys. To make a perfect gumbo, you have to move slowly and carefully—which is exactly what we do. The roux base is hand-stirred over a hot stove so that it can be browned to exactly the right color before adding freshly chopped onion, celery, and bell peppers (also known as the “Holy Trinity” of Cajun cooking). As the veggies simmer, you can smell the nutty aroma of roasting flour wafting in the air. After cooking in black-eyed peas, kidney beans, and okra, a special blend of herbs and seasonings is added to complete the flavor profile. The resulting product is a thick, savory, smoky soup that can’t be imitated. At Krimsey’s, we are most proud of how our menu and restaurant space have appealed to all kinds of people (not just vegans). I am also honored to represent Louisiana in a new, progressive way that will help keep Louisiana food culture alive, despite the movement away from animal products that is sure to only grow in popularity as more and more people learn about the benefits of a plant-based diet. 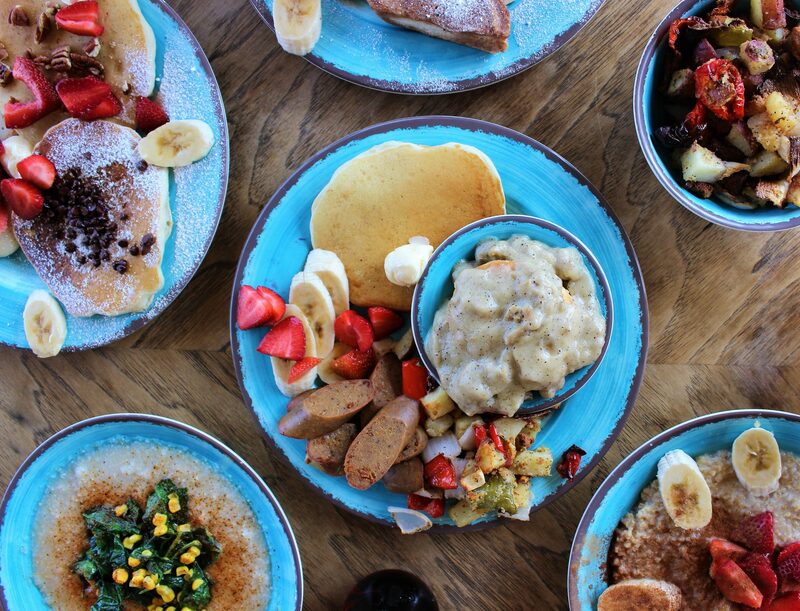 Not only does our unique, plant-based Cajun menu set us apart from others, but our Krewe really also makes us something special. All of them have unique background stories and individual talents, and our guests can feel their sincerity and kindness shine through in their work! We strive to create a space for our Krewe where they feel safe and respected, are compensated fairly, appreciated for their uniqueness, and where they can grow professionally and personally. They truly are what makes our space so special. Being able to trust and rely on other people has been most important to the success of the company. I am always searching for people who are better than me in some way, because they are the future of the company! Being able to let go of things and hand them over to more capable hands has allowed me to focus on what I do best, and continues to create more opportunities for everyone involved as we grow together.